Cheltenham Town Hall is situated in Imperial Gardens in the centre of Cheltenham, around a 25 minute walk from Cheltenham train station. The nearest car parks are in: Rodney Road (111 spaces) pay and display, charges apply 8am-8pm Regent Arcade, Regent Street (557 spaces), pay on foot, charges apply 8am-12.30am Bath Parade (80 spaces), pay and display, charges apply 8am-8pm There are two park and ride services that operate during the daytime. One is located just off the A40 near the M5 and the other is located on the north side of the town at Cheltenham Racecourse. There is a limited amount of on-street parking around Imperial Square – charges apply until 6pm. There are also an additional five disabled parking spaces on the street in Imperial Square. The ground floor of the Town Hall is fully accessible from street level without encountering any steps by using the ramps at either side of the front entrances – the entrance on the right-hand side has automatic doors. There are accessible facilities in both the ladies and gents toilets, and a further accessible toilet at the rear of the Main Hall. These toilets are only open during an event at the Town Hall. Otherwise, there is a public toilet attached to the side of the building. There is an Induction Loop system in place at the Town Hall (ground floor only), and Assistant and Guide Dogs are welcome. 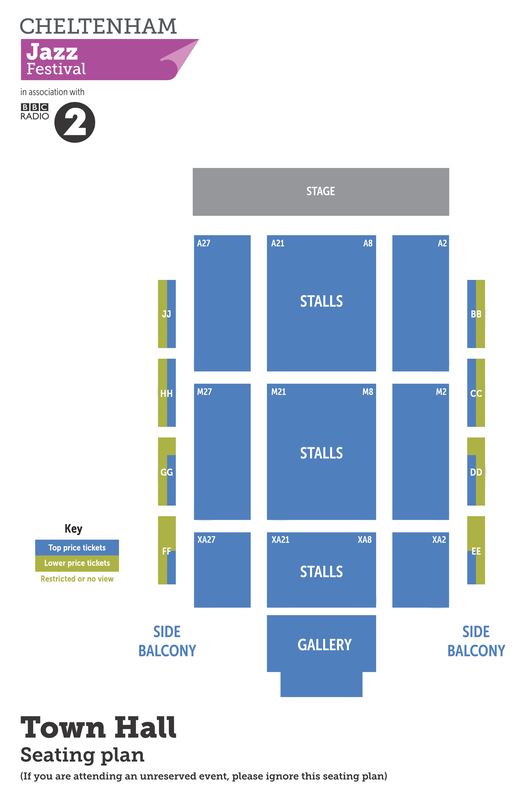 View the Town Hall Seating Plan below or open it in a new window.